Stop by the Carlton & Coast tavern and help raise funds for the Homeward Bound Pets shelter medical fund. 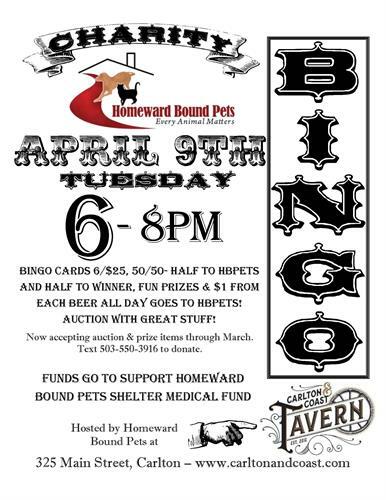 Bingo careds 6/$25, 50/50 raffle & $1 from each beer sold all day will go to HBPets! There is also going to be an auction with great items. $1 from each beer sold the entire day will go to HBPets.